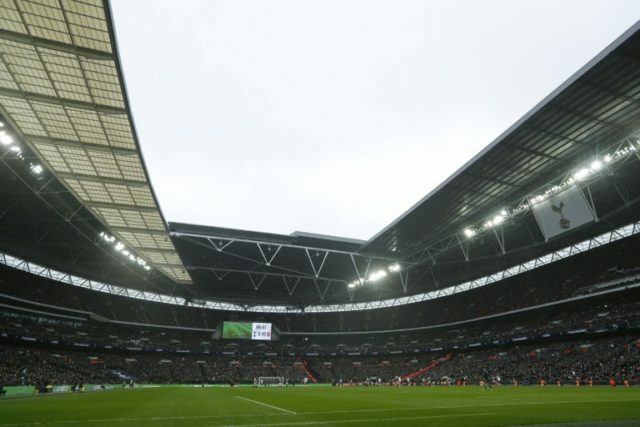 London (AFP) – The Football Association said Thursday they have received an offer to buy iconic Wembley stadium in a shock move that increases the chances of an NFL team taking up permanent residence in London. Shahid Khan, who owns Championship club Fulham and the NFL’s Jacksonville Jaguars, is behind the £500 million ($698 million) bid to buy the national stadium. “We can confirm that the FA has received an offer to buy Wembley Stadium,” an FA statement read. According to the Evening Standard, Khan has struck an outline agreement with FA boss Martin Glenn to transfer Wembley to foreign ownership for the first time. The stunning proposal, which would also see Khan allow the FA to keep lucrative debenture and hospitality revenue worth around £300 million, was put before the full board of the domestic game’s governing body on Thursday. Wembley, which has a 90,000-capacity, was reopened in 2007 after the FA’s seven-year, £757 million rebuild of the home of English football. The flamboyant Khan is a Pakistan-born American billionaire, who made his fortune in the car parts business. “The games the Jaguars play at Wembley are essential to the financial stability of the Jaguars in Jacksonville, which is one of the smallest markets in the NFL,” Khan said. Khan’s approach is a further sign of the NFL’s desire to build on the foothold they have established in the British sports market. Regular-season NFL matches have been played at Wembley since 2007, with Khan’s Jaguars featuring as the ‘home’ team on several occasions. It is widely believed that NFL commissioner Roger Goodell is keen to place a permanent team in London in the near future. Tottenham already have a deal with the NFL to stage a minimum of two games a season over 10 years once the new stadium in north London is completed later this year. The Premier League club have played their home games at Wembley this season, but will move out once White Hart Lane is rebuilt. Khan insisted the England national team would still be able to use Wembley as their home venue. “We are very happy for Shad Khan and the Jacksonville Jaguars,” the NFL said in a statement. It is believed the FA are considering the deal because the money raised would be ring-fenced for investment in grass-roots programmes they feel are essential for football’s future in the United Kingdom. One report says Glenn believes the sale would pay for 1,500 new full-sized all-weather artificial pitches across Britain. The FA are still catching up with the cost of redeveloping Wembley and are on course to complete their repayments by 2024. The current version of Wembley, famous for its iconic arch, replaced the original venue, which was renowned for its twin towers on one side of the stadium. Wembley has staged the FA Cup final since the old stadium opened in 1923 and has hosted some of football’s most celebrated matches, including England’s 1966 World Cup final victory and seven European Cup finals.